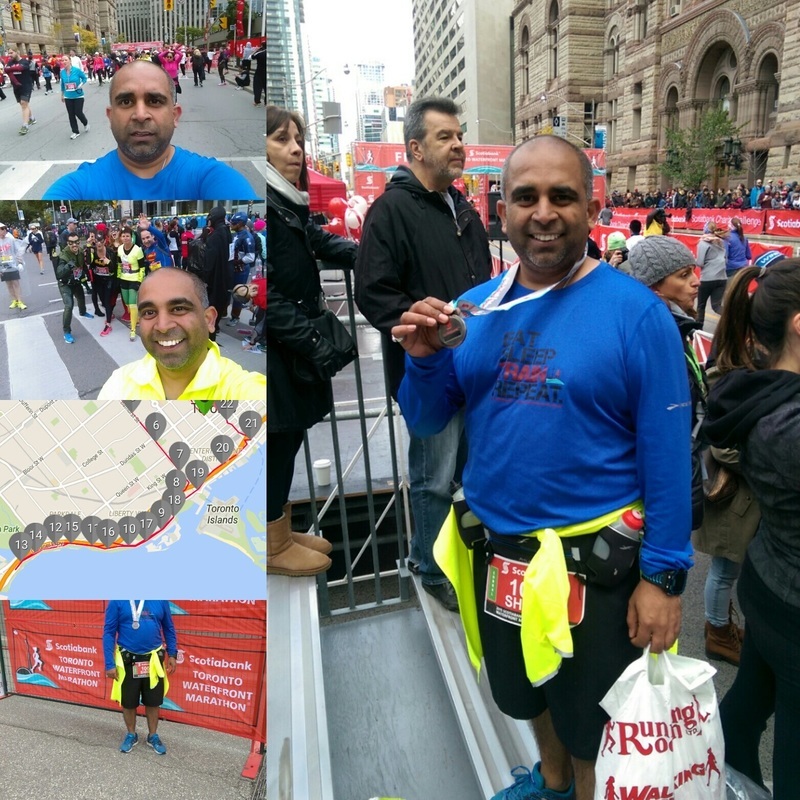 It's been a while since I blog'ed about how my training was going for #STWM 2015. My life got busy and sucked out all the free time I use to have. It did not stop the training though. 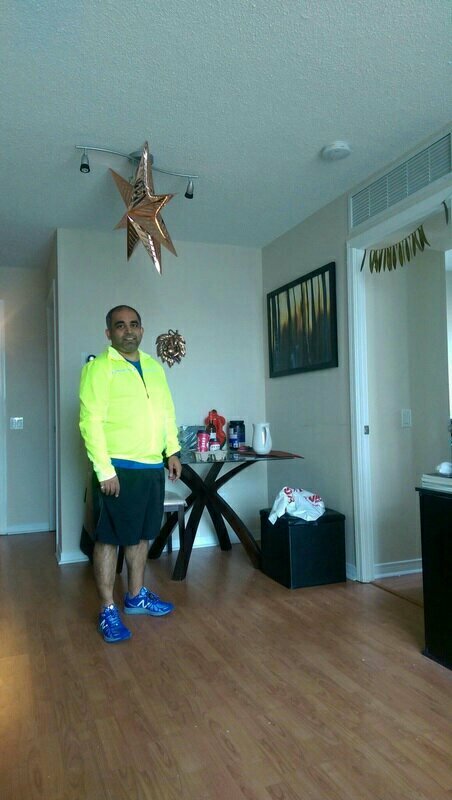 I am still on target to run in #STWM 2015. I missed my last few long run's - Mostly due to races that I had signed up. The Night race was really fun this year. The weather was opposite of last years cold and wet night. It was super hot and even at 8pm humid and hot. Luckily I was not running 10K this year and it was just 5K. The other race that I ran this Sunday was the B&O Yorkville 5K. The swag this year was again really good, actually better because I can use everything from it already. This run was really memorable. I reached on time but for some reason I thought that race started at 10:00am. So I ignored all the people lined up for the run went inside and took a stroll. 5 mins later heard the noise of people running and only to find that they were removing the barricades put for the race. Finally this Sunday I got back to my scheduled long run's and it was 18K. I was slow but I was lot better than I was at this stage last year. There is a slight pain in the calf muscle but this time it is mostly due to the long run and no injury. I also had a busy day after the run and over body is recovering faster. This time we went a bit more west for the long run. Normally we would do the loop around Bloor and Bathrust to keep the distance on west short. This time it was all along the scenic MTG trail. It was really fantastic morning to run, with cool breeze and sun in the sky. I even took a selfie when I turn'ed around. ﻿The weather is not getting any better for running. Tuesday , Wednesday and today it was hot and humid. The shorter runs were ok as it was short but today's run was not that great. we went to Cherry beach loop and man I was almost done at the half way point. Luckliy there running half marathon race to they had a check point with water and that helped a lot. ﻿Over all the week was great apart from running I am still going through the strength training sessions and we were back at the hills at chirstie pit. The hills were a lot easier than last time and the sprint times are also improving. My diet is steadily increasing and I forgot to eat before the hill training and that really tested my body. I have also been biking a lot more now and the ride to and back from home to work is getting shorter. This week I was able to get to Union station is like 45min which was really fast. I still need to improve the up hill time. Not much to write this week and here is how today's run went. 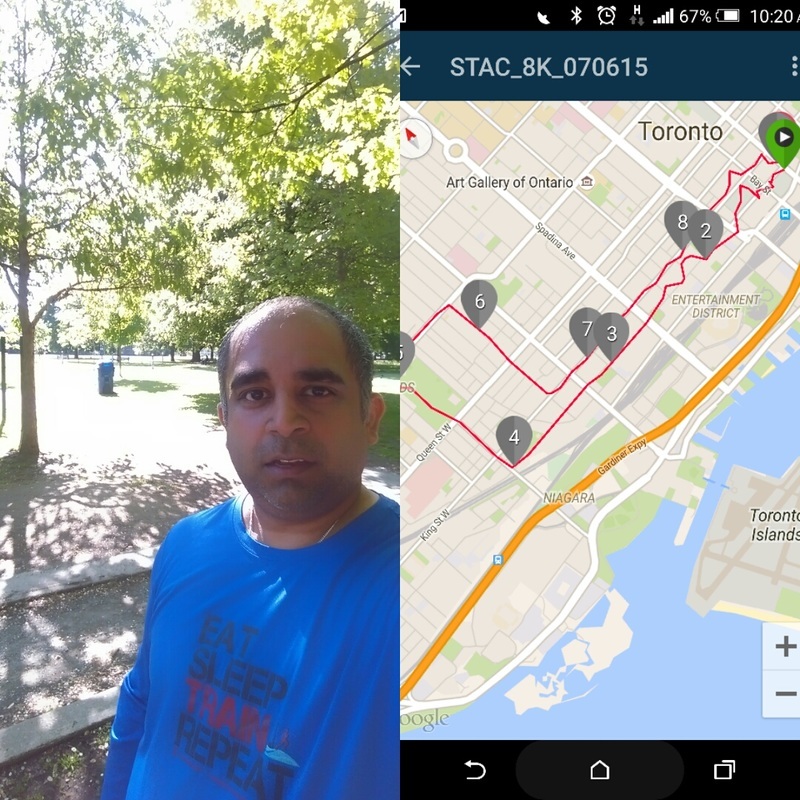 I am in week 3 of my training for #STWM 2015. Till now its going good. For a change I biked more this week than I ran and part of it was due the day off on Canada Day. My Ride to work and back has got much faster now. It use to take my 90 min to ride back from downtown. Now I am almost close to 55min. This is close to time it takes for my ttc ride. I am going to continue biking as long as I can without affecting my training for STWM. My strength training session are also going well. To my surprise i had to do hill training as part of strength training. I had to run up the hills at Christie pits. I was lot steeper than most of the hill training I have done as part of running. It was as opposite I had to take long strides and push as opposed to short and steady strides. It was not fun and to add to that I had to carry sand bags up and down. My legs were sore like hell but I still was able to finish my Sunday run. It was a horrible run with the hot and humid climate and to add to that I picked a long sleve t-shirt. I need to shop some short sleve running gear soon as I am using them a lot more now. I guess it has nothing to do with running but the drive to Sunday's run was really bad. HOV lanes for Pan-Am games and construction and road closures really make the drive a pain. It took an hour to ride back which normally takes 20 min. Here is how the run went. Back to running in rain. This is 2nd week in a row I was able to do more than just running. I was able get 2 good bike rides and also get my strength training session too. I am happy with the way training is progressing. Now only need to stay away from over training. I do have very tight calf muscles so this week its time to relax a bit and lit things loosen up a bit. We also managed to got bike ride for a lunch on one of the weekdays it was nice. The weather that day was not too hot and it was cloudy so it was comfortable riding the bike in afternoon. The same time I also stilling trying to move the step challenge to next level and I need to top the 100K step challenge. I might miss out again this week , yesterdays rain spoiled some plans and kept me indoors for longer than I expected. Here is how the bike ride went. We went all the way east to Leslie street and than up north to Broad view and Dundas. It was nice park there . We picked up Burritos; on the way for lunch. I am still trying to get at least 50K a month now on my bike. With running and strength training sessions I have only one day left for bike riding and that's' why I have to scale back on the mileage. Here is how the bike ride went. For the run we ran the same route as last week and went west along Queen's Quay to Ontario place and back. It was really good tain the rain had turned into a nice mist and it was nice and foggy with slight wind. Here is how today;s run went. As much as I dislike running in hot and humid weather I started my next #STWM training. I tried mixing running with other activities but none keep me motivated as much as running. First week was strangely hot and humid and the first run which was 3K was really hard. I had run like 8K on Sunday when it was lot cooler and it went lot better than the 3K run in downtown stop/go traffic. The group is lot smaller this time around and with so many running rooms and Nike/Lulumon/Tribe running groups people choose what is close to them and so its all spread out. I see most of them when we go for runs just different groups. Still quite a few people form last years clinic are running again this year. As always I am sure as time goes people will drop out and especially in summer I can understand why. Its the time schools are off and probably the short period to camp or to to a beach in Canada. Sunday's run was back to regular #STWM route we went along MTG trail and it was good. Quessquay is finally construction free and it looks nice. The new bike lanes are really great and no surprise it was packed with bikers and runners. Yesterday I over did my core strength training as my trainer pushed me a lot and I am sure after this run its going to make things worse on Monday. I hate when the dom"s pain kicks in and it makes getting up so hard. I guess it all for good cause so I have to live through this pain. For last few weeks I have also been trying to get 100K steps a week and with running I am sure its going to easier as I keep doing this. 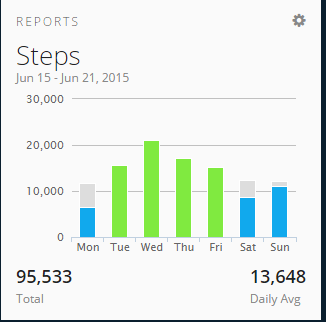 It was fun when I would go out for a run or walk just to get the step count in to 3. I hope this week I can repeat that as well. Here is how today's run went. Strength Training and rest paying off. My foot injury which started at the end of winter seems to have healed now. I also took some time off and tried to strengthen my quads and glutes. All the rest and training has helped a lot. I ran 8K twice this week and both runs were good. The pace has dropped a bit but that normally takes care of itself as training goes on. Both my shoes New Balance 880v4 and 890v4 are done now , I can feel every pebble and crack on the street. I got ~500K on each and I guess its time to shop a new pair. I was going to wait for 880v5 but there is no new of it coming to market any time soon. I saw the 890v5 in the store the other day might pick it up on Wednesday. I have also started biking once a week now at least and for last few weeks I got close to 30K rides which helps cross train. I think that also has helped . We are planning to do ride at least once a week and try to slowly increase the bike distance by taking different routes. 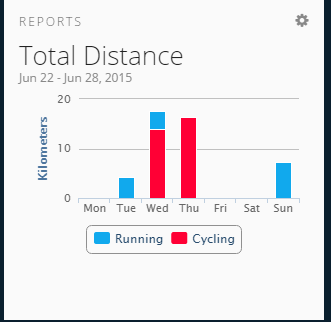 I want to balance running and biking and slowly increase the weekly mileage. Today's 8K run was really good. Weather was perfect not too hot and not too cold for a run. We went all the way west to Strachan and than to Trinity Bell wood Park and back. I never run through the park actually never went inside during day time. It was nice to see people running walking around in the park and the community out there in uniquely different. This was probably the worst I ever trained for a race. Even for my learn to run 5K was training more regularly. My vacation job and than the injury made it worse. I still don;t know what it is. The diagnosis went from muscle irritation to plantar factitious to stress fracture. I had to scale down the long distance run and limit runs to under 10K. Today's run showed no sign of pain and discomfort and it was great. With the lack of regular training I was sure that I was not going to run any faster and the time was exactly as my last 10K run. I also switched my shoes. Since I did my last half in Oct 2014 I have been running on my New Balance 890v4. The shoes are great and I have almost run 500K on them. I went back to my New Balance 880v4 which are bit more cushiony than 890. I think that did make a difference in today's run. The weather has been so good this week and I went out without a jacket. 2 Mins out I realized it was bad idea and so went back to get a light jacket. Its really hard to dress in this weather because I knew after 20min I was going to be hot in the jacket. Luckily the cold wind kept blowing throughout the course and it was a great run all the way to the end. This was my first race with Garmin 920Xt and it was good , the distance was exact 10K and it was in sync with all KM markers. Here is how the run went. Another week of training has gone by and this Sunday we were supposed to do 18K. I was going to decide if I should sign up for Good life half marathon based upon this run. I was really not sure if I can run another half with so less training. I guess I was wrong the training for Chilly half in winter was worth it and I was able to run the 18K today. Around 14K my foot pain again started to bother me. I almost thought of taking a street car and going home. But a short pause was good to get me going again. I decided to not run run the Harry's 8K in high park, mostly to avoid hills. To my surprise we had run across high park and the hills really killed me. I wish we had not run through high park just to avoid hills. I also had to visit my physio this week to see if the foot pain was plantar fasciitis.It was hard to diagnose and I get why that is so. I need to continue to use my foam roller a lot more especially on my calf muscles. The outer muscle connecting to bottom of foot seems to have some irritation and I need to address that this week. Garmin 920XT has worked really well for last 2 weeks. I got few runs on it now and all the time GPS lock was really quick and so was the GPS accuracy. The distance matched what it shows on google maps. So over all it is really a great buy. I am also wearing this all day for last 2 weeks and I have charged this only twice. Not much to write today here is how the run went. Almost since it was released I always wanted to get Garmin 920XT. It was in xmas wish list and finally started using it this week. I wrote this post in stages so it might sound strange. I started with some indoor runs and than finally on Sunday I had a chance to run with outdoors. Out of the box the battery ran out almost in 4 hrs (After a full charge cycle) I was not sure if It was a great idea to get this watch with that battery life. Eventually I figured out that I had everything turned on wifi/Bluetoth/activity tracker/gps/glonass. Once I took care of that I have Sinc been wearing thiswatch all day. In the last 4/5 days the battery barely dipped by like 15%. I had the activity tracking truned ON, I also got few runs on my treadmill. Now I am really happy with the what battery life I get out of this and I am sure now I can charge this once a week as I did with my Garmin 610. I know the real test will be running out door, especially in Downtown where I know my 610 was really good. Again I am going by the review sites posted all over the running fourms about GPS accuracy. Garmin 610 was one of the best with respect to GPS and distance accuracy. The runnung pundits also claim that the issues seen in 220/620/fenix2 are fixed in 920XT. I hope they are righ!!!. By the time i done with this post I hope I will have answer to that question. On a side note my training has not picked up the pace especially since I went on vacation. My running group also fell apart. Quite a few of us are injured and few are busy. I don;t think anyone is running as much as we did before and I really want to get back to my routine. I still run regularly but I not able to do long distance any more. Now getting back to review of Garmin 920XT. On treadmill, the watch was good but nothing new with respect to what I got with Garmin 610. The only thing I like 920XT is the direct Indoor running option and I don;t have to wait for gps to fail and watch to ask me for Indoor run option. I still have not figured out how to get my running details sync'ed via Bluetooth to my phone. It seems that the watch always looks for wifi connection and I have to turn it on every time I need to transfer my data. Its not bad but I mis the Garmin 610 option where I just left the watch on my desk and that was it. The activity tracker is really what I liked about this watch. I did get a few strange looks for wearing a huge watch. It looks kiddish with the blue color and I really would have preferred some professional look. Ignoring the people staring at my hand I am going to keep using it at least till I have to wear a jacket so that I can hide the watch. Garmin 920XT did not loose the GPS signal under Gardiner which 610 did soemtimes. Overall nothing bad to report about GPS. Not sure if was worth the money I spent.. Now that question is meaning less now that I already bought the watch and used it. One negative comment - I was not able to upload the data via wifi when I got home. Had to go find the cable and do it that way. I hope that is just one off event where it failed. Because I rarely had to touch my Garmin 610 setup. Once in a while it would not find the watch but restarting the Garmin connect on PC fixed that. One thing that I did not like about Garmin 610 was that I had to leave the desktop in Windows because it did not work on Linux side. Now I was hoping that with 920XT I can actually dump windows but than that is not a aspect anyone would buy a watch for. .Here is how the run went today.